With so many different options in the Vita Charge® product line, a commonly asked question is “What’s the difference between each product and which one should I be using?” While all the products in the line strive to “protect and recover” the method in which they do so may vary slightly. When comparing the five Vita Charge formulas, it should be noted that all products are designed to provide a powerful dose of vitamins, B vitamins and the Amaferm® advantage when livestock need protection or assistance in recovery from stress. All applications of the product are compatible with antibiotics and offer no drug interaction. Similar to a family tree of cousins, all the Vita Charge products come from the same family, they are just slightly different in terms of formulation and application. All Vita Charge products contain Amaferm to support the animal’s ability to recover from the effects of stress. Amaferm combats stress resulting in increased intake and nutrient digestion. All formulas except for the gel caps contain MOS which traps and expels bad bacteria limiting their ability to do harm. 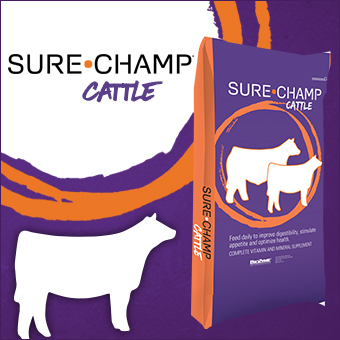 Drench: A drench for cattle that supports digestive health and promotes feed and water intake during times of stress and recovery. Conveniently designed for processing large groups of ruminating cattle. Paste: A paste for all species of livestock that supports digestive health and promotes feed and water intake during times of stress and recovery. Gel Cap: A gel cap for beef cattle weighing over 450 lbs. that supports digestive health and promotes feed and water intake during times of stress and recovery. Liquid Boost: A liquid supplement for animals of all species that supports digestive health and promotes feed and water intake during times of stress and recovery. Can be administered via a medicator, mixed with water, used as a drench or top-dressed on feed. Its palatable flavoring helps create consistency in taste of any water source. Stress Tub: A cooked tub for beef cattle that supports digestive health and promotes feed and water intake during times of stress and recovery. Conveniently allows beef cattle to get their daily dose of Vita Charge without additional handling. No matter which Vita Charge product you select, you can be sure that Vita Charge will protect you animals appetite and help them to recover quickly in times of stress!